Make America Great with $5.95 Flat Rate Shipping on Every Order! Speed Beez speed loaders make revolvers even more fun! Welcome to Speed Beez! For revolver shooters who are looking for the ultimate shooting experience, Speed Beez is the only way to have it! 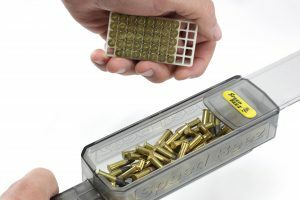 Our innovative speed loader designs are based on the Dade Speedloader design from the 1970s and manufactured right here in the United States of America. Dade was the first speed loader to use a garter spring for retention instead of other slower and less user-friendly retention methods. We improved it, adapted it for the .22 long rifle, and made loading trays to keep extra rounds ready to reload the speed loaders. We went through this trouble because, after all, what good is a speed loader if it cannot be refilled as quickly as possible? By listening to customer suggestions and feedback, we have continued to refine our speed loader design. In addition to our .22 LR speed loaders, we also build speed loaders for many different calibers, including .22 Magnum, .327 Magnum, .38, .357, and .44 Magnum revolvers. We even have a .500 Smith & Wesson speed loader in the works. To make sure you don’t have to stop shooting until you’re ready, check out our all-new speed loader belt pouches. We are on a mission to stock and sell everything else you’d ever need for your revolver, whether you shoot competitively or for recreation. We carry leather and Kydex revolver holsters (including Galco Gunleather), speed loader pouches, gun belts, magazine loaders, and clip loaders. Be sure to check out all of the great products we have available, and come back often because we are always adding new items that make shooting your revolver more fun than ever. All New 22 Magazine Loader! 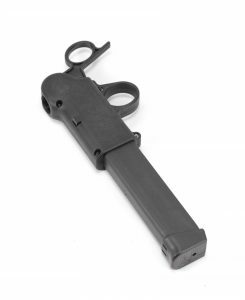 AND The New PCC Lever Loader!